Pods are small autonomous units of employees. This subdivision into units allows the organization to act as a network of smaller organizations. Each pod is free to act without consulting with a manager, which makes the decision-making process much faster and more efficient. It also allows organizations to adapt quickly to their environment (customers, members or stakeholders). One organization already putting this principle into practice is the Belgian software firm ACA IT solutions. Dave Gray is the originator of the concept of the ‘podular organization’, and wrote the book The Connected Company about the subject. 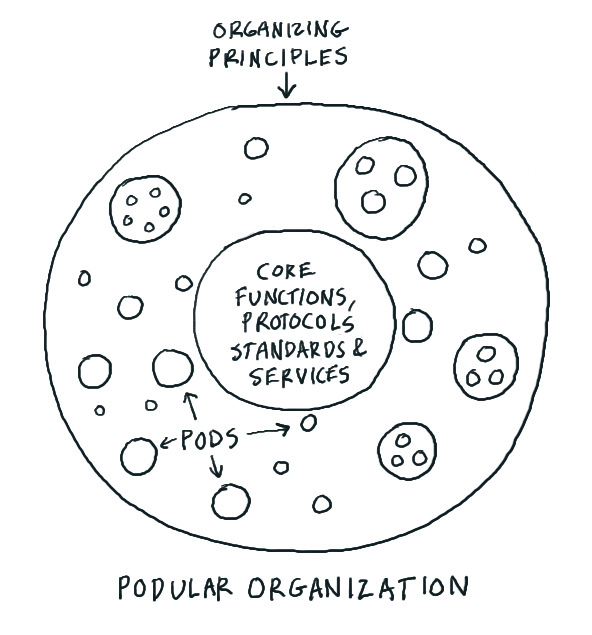 Pods have actually been around for a while in the form of so-called self-managing teams. A great Dutch example of an organization which relies heavily on self-management is Buurtzorg. The guiding principle of Buurtzorg is to re-prioritize patients and their interests, which strategy has proven highly successful. Buurtzorg has grown steadily since being founded in 2006. Pods are most successful when their participants are quite self-sufficient. It goes without saying that this should be taken into consideration as early as during recruitment. 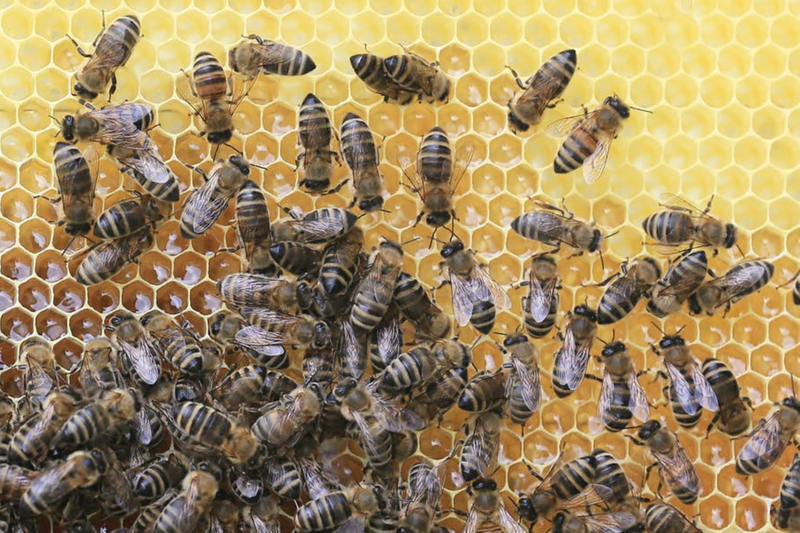 Not everyone will be able to perform within a system of self-organization, but giving your staff the authority to make decisions will make them happier. People thrive on autonomy. Ideally, a pod will be made up of employees from different disciplines (marketing, product development, customer service), which maximizes the problem-solving ability of the individual unit. This does away with the classic subdivision into departments. But won’t things descend into chaos if everyone is given free reign? It’s true that autonomy will not work without a clear framework. The most important guideline in this respect is the organization’s mission. Each individual pod should pursue this higher purpose, but they are left free to decide how to convert this into actual output. Leaders within the organization will also have to change the way they work. Their role will change from a managing role to a facilitating one. Their primary duties will be to keep the mission on track and to ensure that each pod has the tools it needs to operate. Organizations which have had good results with self-management are the ones which have also adapted their pay structure to this new model. The quality of your work will no longer be determined by a manager but by your peers. They will periodically evaluate how well you function within the team, and any bonuses are tied to this. Pods need an online community as their support structure. In order to serve the organizational purpose as well as possible, they firstly need access to all the information available within the organization. Secondly, a platform creates connection between all the individually operating units. Finally, the online community enables pods to coordinate responsibilities and exchange best practices with each other. Most online community platforms or social intranets are designed to facilitate self-organization. To compose teams or units, personal profiles can be used to locate the right experts in the organization. The (online) collaboration can then be developed further in open or semi-open groups. What the online community really does is to equip employees with the right tools to actually get to work as pods. This is also how the known open-source communities Mozilla, WordPress and Drupal work. Wikipedia too uses self-organization to coordinate the variety of responsibilities (translation, spell checking, marketing). Their overarching mission (‘free universal access to knowledge’) here also serves as a unifying and guiding principle. Look more closely, and you’ll see that the online encyclopedia is made up of a vast number of different wiki-projects. These are actually all self-managing units, each wholly responsible for a different part of the project. The wiki-project Military History for example catalogs exclusively the military history on Wikipedia. The most successful wiki-projects are overseen by an informal leader in the form of a moderator or community manager. In addition, global guidelines define the best way of working together, the formats for supplying content, and project milestones. This illustrates that simply making an online community available is not enough. Guidelines, community managers and criteria of success are essential for successful implementation of self-organizations. The internationally operating company Bosch is the largest organization working according to the community or network model. They employ a legion of community managers who assist at different levels in starting communities around certain goals. Junior community managers only help with content and moderation. Their senior colleagues are also responsible for ensuring that the created communities contribute to the company objectives in a noticeable way. Because Bosch makes heavy use of these networks, new community managers are being trained all the time. Each community has two ways of creating output. The first output is the immediate operating result for which the unit was intended. The second output takes the form of social objects (wikis, discussions, milestones) which stem from the new way of online collaboration.